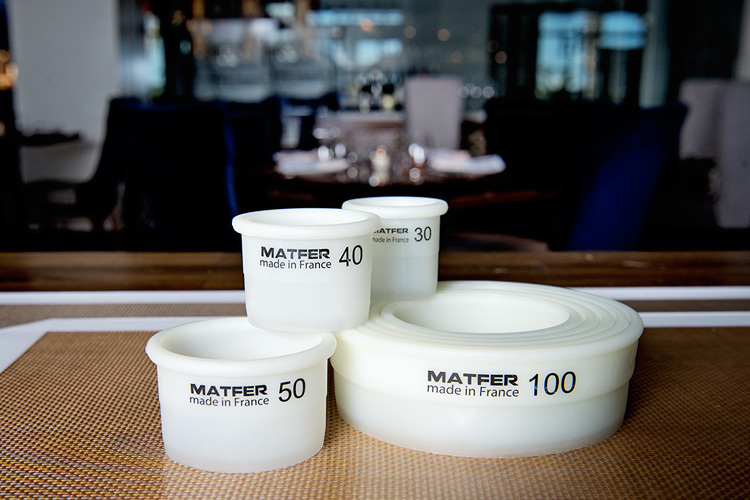 Composite material developed by Matfer. 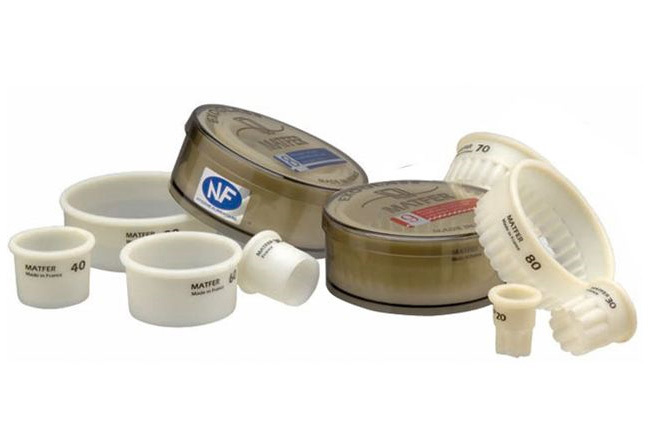 This material is non-porous, dishwasher safe and can be sterilized. Non-Deformable. Its cutting edge is as durable as any long life cutters. They are easy to clean being of a single piece and provide a comfortable grip due to their rounded tops. An Exoglass® does not lose its original shape. Box of 8 - diameter 1 1/8” 1 1/2”,2”, 2 3/8”, 2 3/4”,3 1/8”,3 1/2”,4”. Box of 7 - diameter 1 3/8”,1 3/4”, 2 1/8”, 2 1/2”,3”,3 3/8”,3 3/4”.